In the journal Nature Biomedical Engineering, UNC Lineberger’s Andrew Wang, MD, and colleagues report they have developed tissue-engineered models for cancer metastases that reflect the microenvironment around tumors that promotes their growth. They believe their models, which were developed to study colorectal cancer that had spread to the liver and lung, will help scientists studying why cancers tend to spread to certain organs rather than others. 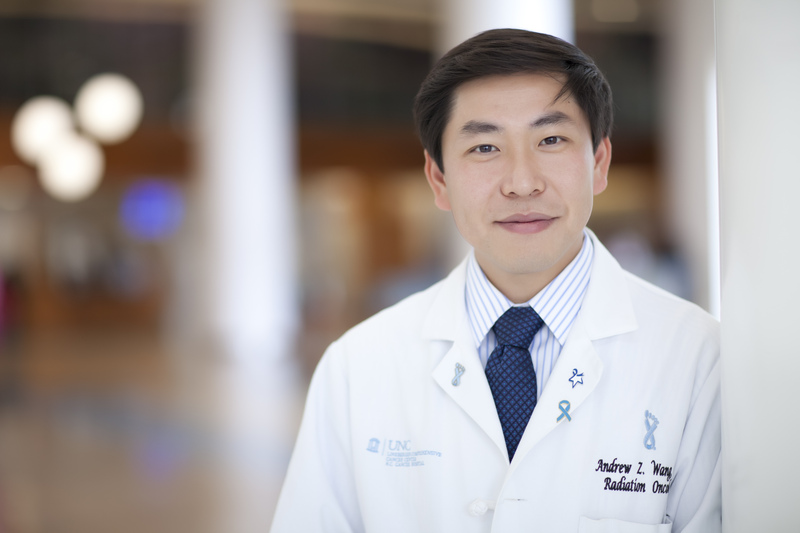 UNC Lineberger’s Andrew Wang, MD, and colleagues have developed tissue-engineered models for cancer metastases that reflect the microenvironment around tumors that promotes their growth. A colorectal cancer cell is shown growing on a liver model. Credit: Michael Werner. Cancer that has spread, or metastasized, from its original site to other tissues and organs in the body is a leading cause of cancer death. Unfortunately, research focused on metastatic disease has been limited by a lack of experimental systems that mimic the way metastatic cancers grow in people. Now, researchers at the University of North Carolina Lineberger Comprehensive Cancer Center report they have developed a laboratory model for studying metastatic cancer by applying techniques used in tissue engineering, a field in which scientists make enhanced or replacement tissue or organs. Researchers believe their method better reflects the environment in and around tumors that have metastasized. 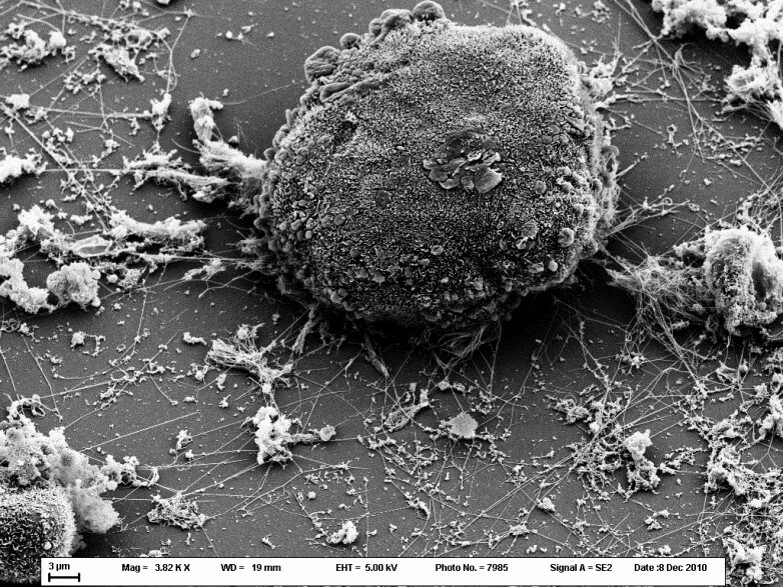 In the journal Nature Biomedical Engineering, UNC Lineberger’s Andrew Wang, MD, and colleagues report in Nature Biomedical Engineering they have developed tissue-engineered models for cancer metastases that reflect the microenvironment around tumors that promotes their growth. They believe their models, which were developed to study colorectal cancer that had spread to the liver and lung, will help scientists studying why cancers tend to spread to certain organs rather than others. Researchers in the past have employed a number of techniques to study metastatic disease. Gels and other techniques have been used to create three-dimensional environments in a dish to reflect the environment that might be found in an organ, but researchers report they can be dissimilar to the environment found in different types of tissues, such as the lung or the liver. Genetically engineered animal models of metastatic cancer are also available, but researchers report they can be costly and difficult to use. Wang and his colleagues created new models of cancer metastasis by constructing organ-like structures made up of “decellularized” tissue. To create these models, researchers removed the individual cells within a mouse organ, but left the remaining structural proteins and signaling molecules that would remain to give the organ structure. “We’re using cutting-edge tissue engineering — which is being used to study new organs for people who need them for transplants — and applying it to cancer research,” Wang said. They created liver and lung organ models in the study, and when they grew colorectal cancer cells on these models, they reported that they closely mimicked human tissue samples, spontaneously forming three-dimensional tumor colonies that reflected characteristics of metastasis according to molecular tests, behavior patterns, and when studied the samples under a microscope. One key characteristic that they saw was the formation of “signet ring cells,” which have been linked to poor cancer prognosis. In addition to Wang, other study authors include Xi Tian, Michael E. Werner, Kyle C. Roche, Ariel D. Hanson, Henry P Foote, Stephanie K. Yu, Samuel B. Warner, Jonathan A. Copp, Haydee Lara, Eliane L. Wauthier, Joseph M. Caster, Laura E. Herring, Longzhen Zhang, Joel E. Tepper, David S. Hsu, Tian Zhang, and Lola M. Reid. The study was supported by the University Cancer Research Fund, the National Institutes of Health and the National Cancer Institute, and a generous gift from Mr. and Mrs. E. Barkley. Individual researchers were supported by the National Nature Science Foundation of China, and the Foundation Research Project of Jiangsu Province.